Something is happening over at Chase. And I’m not sure what exactly yet but something is definitely happening. The World of Hyatt Credit Card was not previously subjected to the 5/24 rule. They are indicating a denial based on the number of new cards in the last 48 months. This is a confusing data point because the 48 month rule has started being applied to Chase Sapphire Reserve and Chase Sapphire Preferred cards (no bonus if you had received a bonus on any Sapphire product within the last 48 months) but the 48 month rule had not been applied to any other product and, also, these people didn’t have a previous Hyatt card that I can tell. As a reminder, the current bonus on the The World of Hyatt Credit Card is up to 60,0000 Hyatt points. 40,000 when you spend $3,000 within 3 months and 20,000 more as long as you spend a total of $6,000 within 6 months. One datapoint suggests this may apply to the British Airways card as well. Something is afoot. I’m not sure *exactly* what yet. More data points would be greatly appreciated. At this rate, people who love travel credit cards will not be able to get any Chase credit cards, ever. 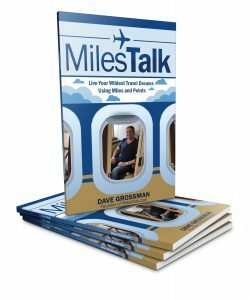 Let me know your experience here in the comments, on Twitter, or in the private MilesTalk Facebook group.